My family and friends know I love a home cooked meal. Even more then that I love putting together a memorable table that is inviting and provides an intimate and warm backdrop to our meals together. 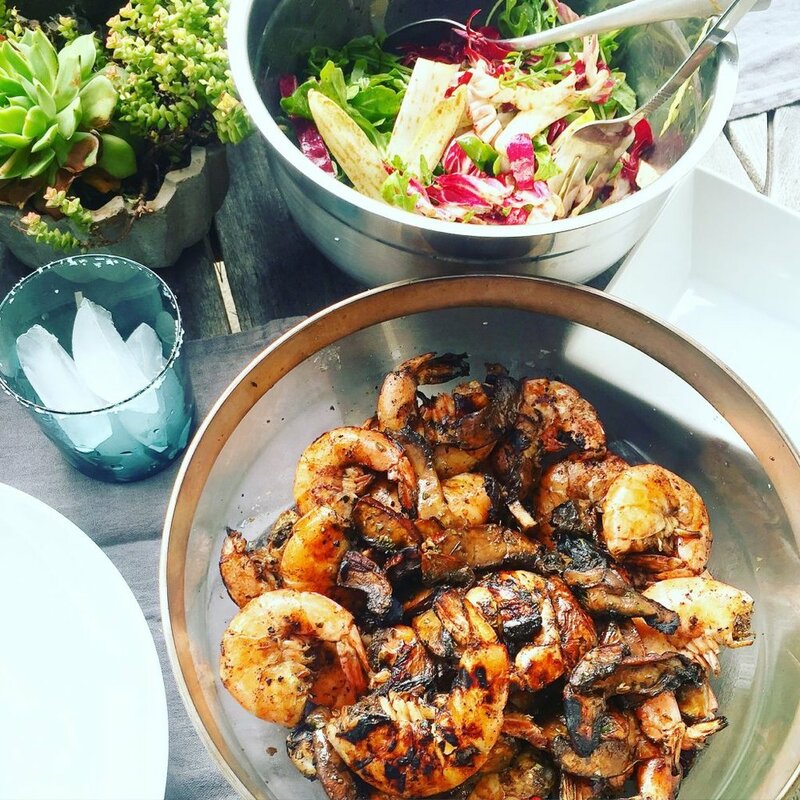 Here are just some of the dinners we have shared this summer al fresco along with some notes on how to style your summer table. 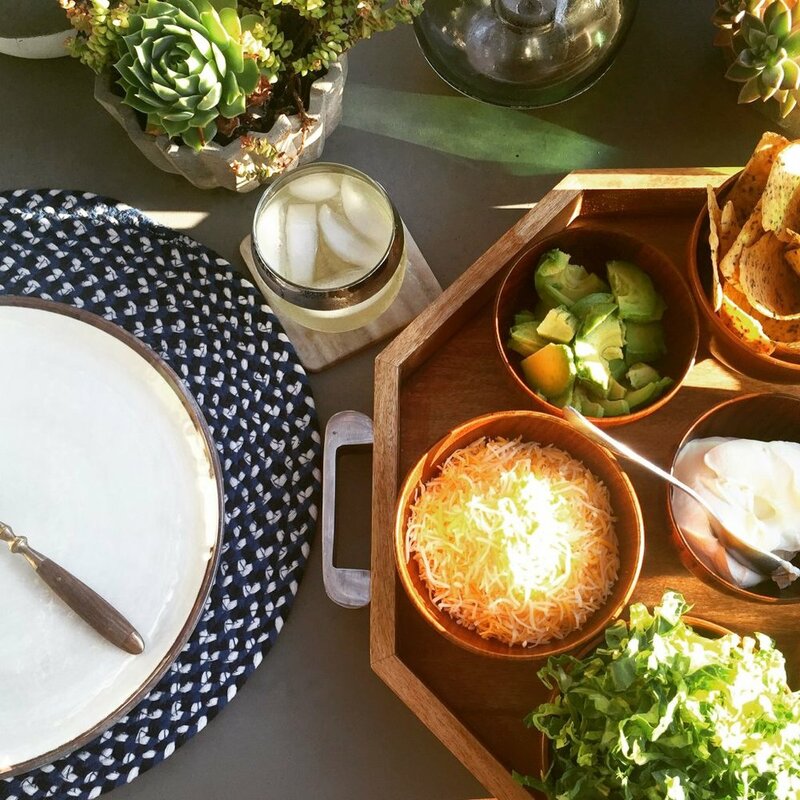 Taco party is one of my favorite simple dinners during the summer. Platter of toppings and your favorite protein is a meal your whole family will love. Every time I find a good deal on a pretty placemat or something for the tabletop I have to admit I splurge and buy it...especially if it is on sale! These great outdoor plastic plates are from Potterybarn. Every summer they have great plastic plates perfect for outdoor use. 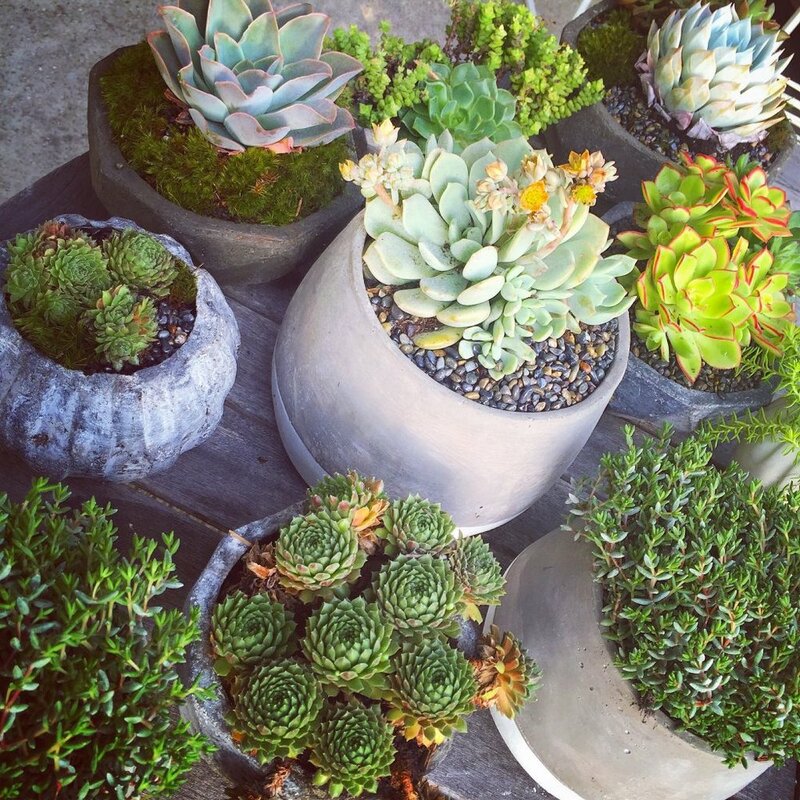 A table full of succulents is such an easy way to make your outdoor table stand out without the money and maintenance of fresh flowers. They are easy to keep alive and thrive outdoors. I like to make my own arrangements by visiting my local flower mart or plant store and mixing different style concrete or stone pots add to that curated vibe. Mix in some fun glass lanterns so when your dinner or party goes into the evening they can add some warm ambient light to your table. Another easy simple summer meal is peel and eat shrimp! I take shrimp with the shells on, marinate in olive oil, lemon a splash of balsamic vinegar, garlic, salt & pepper for an hour. Then I just throw it on the grill. Also try throwing fresh parsley on top after grilling for a brighter finish. Another classic summer meal..RIBS! My first attempt but turned out easier then I thought. Still going to work on this one a bit before posting a recipe. Another easy summer recipe is Aqua Fresca. I blend watermelon and strawberries and pour through a strainer before adding fresh lime juice & tons of water. Easy and a family pleaser! Add a splash of tequila if you are throwing a party.